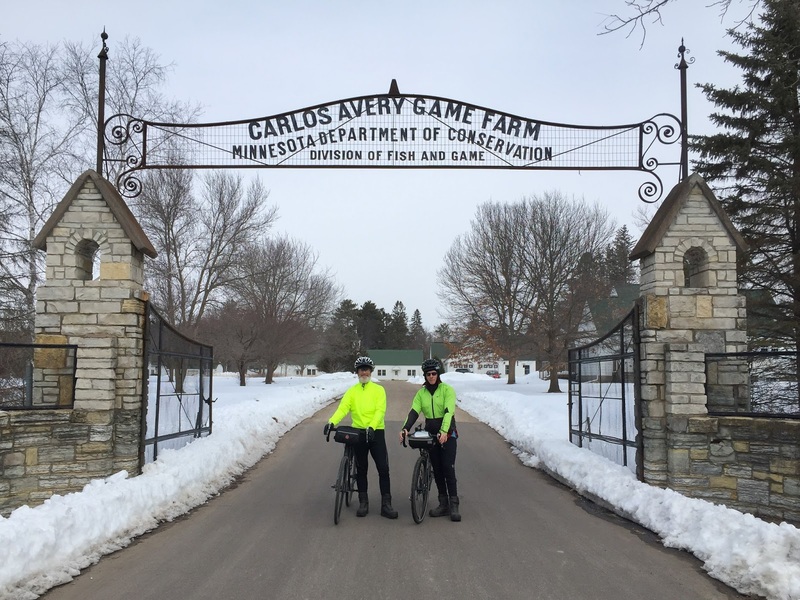 Here are a couple more Twin Cities Bicycling Club organized bike rides. 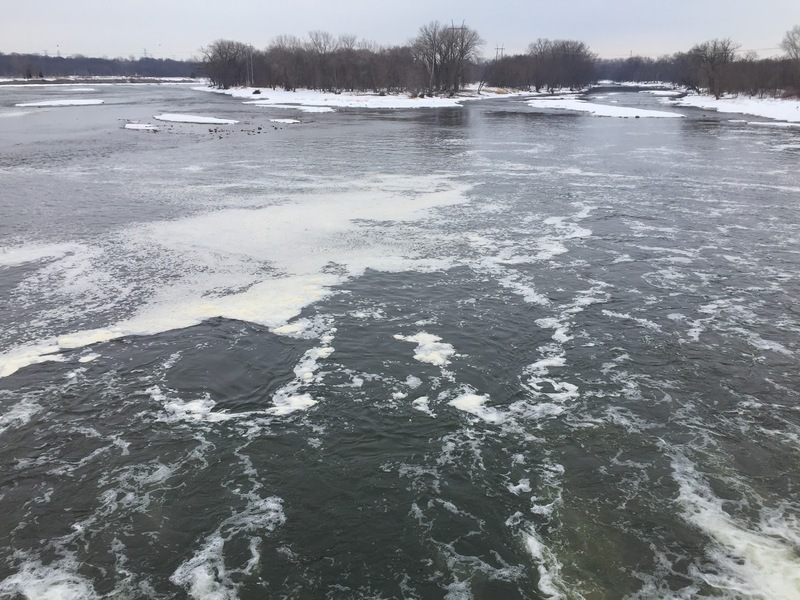 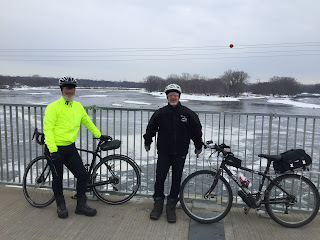 On Saturday, 03-10-18, Paul, Rick and I rode my, Going Somewhere Saturday, bike ride from Trailhead Cycling in Champlin, MN. 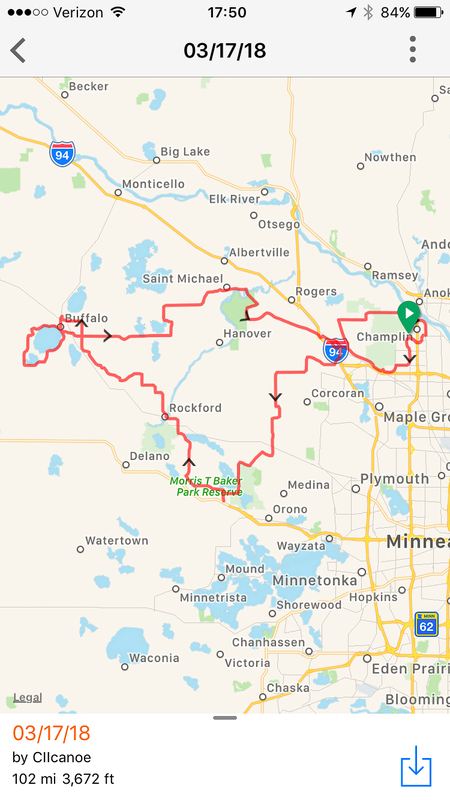 This ride took us to the east toward Forest Lake, Wyoming and Stacy before heading back toward Champlin. 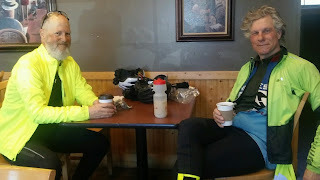 Rick rode with Paul and I to just short of our first stop at Starbuck's Coffee in Forest Lake. Rick ended up the day with 53 miles. Right after break Paul and I found a couple miles of ice packed gravel roads to ride before heading east of Wyoming, MN. 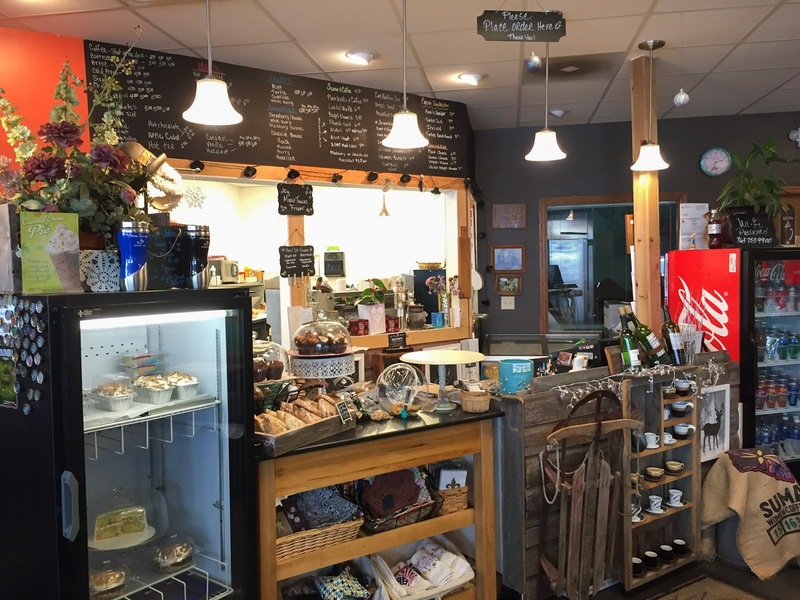 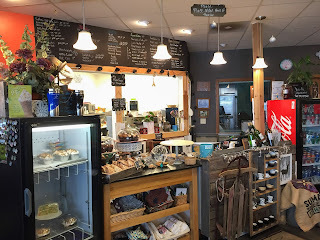 Our second break was at the Bridge Street Coffee Box in Oak Grove, MN. Paul and I ended the day with 87 miles. 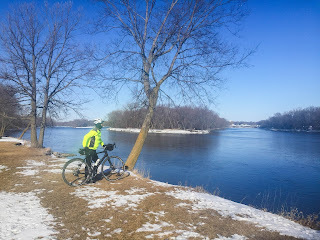 On 03-14-18, Paul rode with me on my "Mild Weather Wednesday" ride. During our ride we had to have seen around 100 Trumpeter Swans. 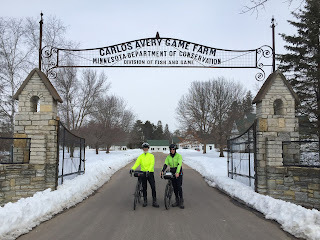 Today's ride was 62 miles long. 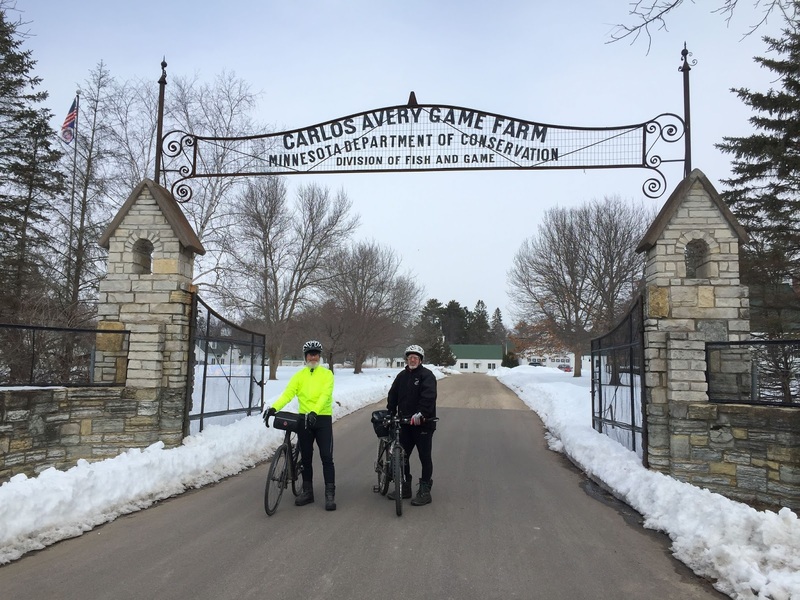 On Saturday, 03-17-18, Paul, Rick and I rode another version of my Going Somewhere Saturday bike ride. This time the ride took us to Maple Plain, Rockford, Buffalo, St. Michael and back to the start in Champlin. 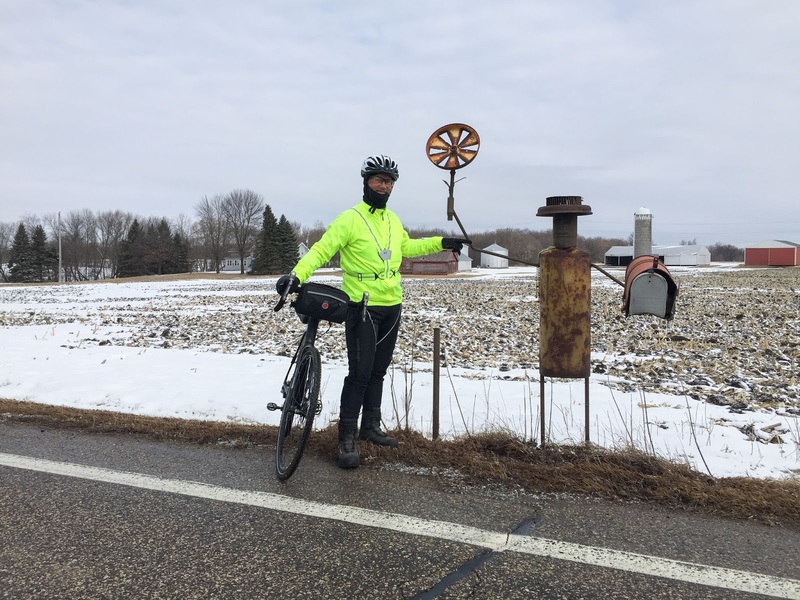 I knew ahead of time that Rick wasn't going to do the complete 102 mile route, so he headed back once we got to Rockford. Paul and I continued on toward Buffalo while riding a few more miles of new gravel roads before taking our second break at Dunn Brothers in Buffalo. 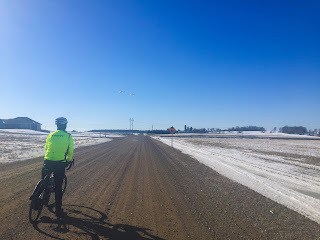 About a half hour into the ride we saw several deer start to cross CR 81, but all they did was stop traffic in both directions before they changed their direction and went back the direction from where they came. On 03-21-18, Paul showed up to ride another version of my "Mild Weather Wednesday" ride. Today's ride was 61 miles. 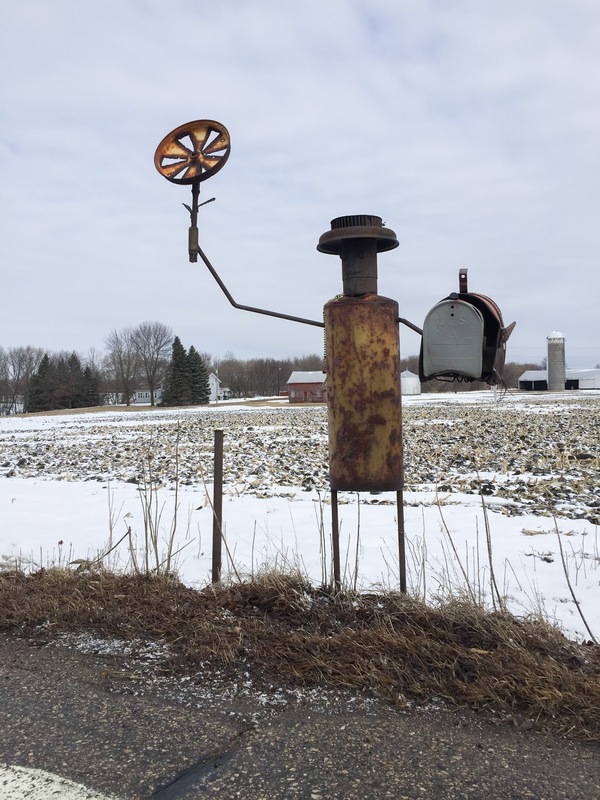 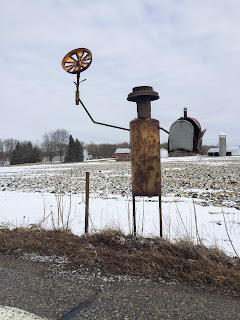 We found this interesting guy standing along the side of the road on 03-21-18.